​When it comes to wonderkids, Arsenal have had their fair share, with Arsene Wenger's much-lauded talent for developing youngsters seeing the Gunners faithful cast their eye over many of the game's most promising stars. But as is the case on Football Manager, just having a wonderkid in your side isn't always a barometer of guaranteed success. Whether it's poor coaching, a lack of first-team opportunities or just that absence of the intangibles that define the very best, things may not turn out as one might expect. As such, here is a look at the plight of eight of Arsenal's most highly thought of young stars, and the careers they had following their unfulfilled time with the Gunners. A man who could lay claim to having one of the greatest names in ​Arsenal history, sadly Quincy's career with the Gunners didn't turn out to be as good. An extremely quick winger and with a box of tricks in his arsenal (no pun intended), the Dutchman made just 23 appearances in a four-year stay from 2002. With Arsene Wenger's famed track record of developing young French players, Jeremie Aliadiere was expected to be the latest in a line of superstars signed from across the channel. The striker arrived at Highbury aged just 16, and with the ringing endorsement of the head coach of the famed Clairefontaine academy, Claude Dusseau, who stated that along with Thierry Henry, and Nicolas Anelka, Aliadiere was amongst the best strikers to come through in the past ten years. But a combination of injury problems and limited first-team opportunities saw the promising Frenchman's career hit a roadblock, and after just four years with the Gunners, spent the rest of his career playing for clubs both in Britain and abroad. Signing from Notts County in 1999 for £2m - a record fee for a trainee at the time - a 15-year-old Jermaine Pennant was seen as the next big thing. The Englishman however struggled for regular game-time, and never really came close to dislodging established stars Robert Pires and Freddie Ljungberg from the side. A hat-trick against Southampton aside, Pennant was dogged by questions over his attitude and 'party' lifestyle, and subsequently was allowed to join Birmingham in 2005 to little fanfare. Compared to both David Beckham and Dennis Bergkamp, academy product Bentley was lumbered with the most loftiest of comparisons. With the Gunners suffering a relatively dry period in terms of players coming through the ranks, Bentley's rise from the youth set-up was met with increased optimism and hype. A Berkgamp-eque lob against Middlesbrough in the FA Cup in January 2004 only served to heighten the expectation. Perhaps the least recognisable name on this list, but a man Arsene Wenger described as an 'absolutely amazing player', Fran Merida was supposed to be Cesc Fabregas 2.0. Both technically gifted midfielders and both from ​Barcelona, it is fair to say that Merida didn't quite live up the hype of the man before him. Arriving from the Catalan giants in 2007, the Spaniard went on to make just 15 first-team appearances for the Gunners, scoring three goals. Another Gunners youngster hailed as the next Fabregas, Zelalem perhaps had the most hype of any 'wonderkid' on this list. Spotted by Arsenal scout Danny Karbassiyoon whilst the youngster was playing in the USA, Zelalem's inclusion and subsequent performances in Arsenal's pre-season tour of Asia in 2013 was something special. The playmaker had an eye for a pass and looked right at home in Arsenal's possession-heavy game, and was tipped for a bright future. Controversial. To all intents and purposes, making 197 appearances for the club should see someone exempt from making this list. But after that iconic performance against Barcelona at the Emirates, ​Jack Wilshere's career never seemed to match those heights. Injuries, injuries and some more injuries seriously derailed the midfielder's progress, and to have only featured less than 200 times in a decade-long spell was a travesty. 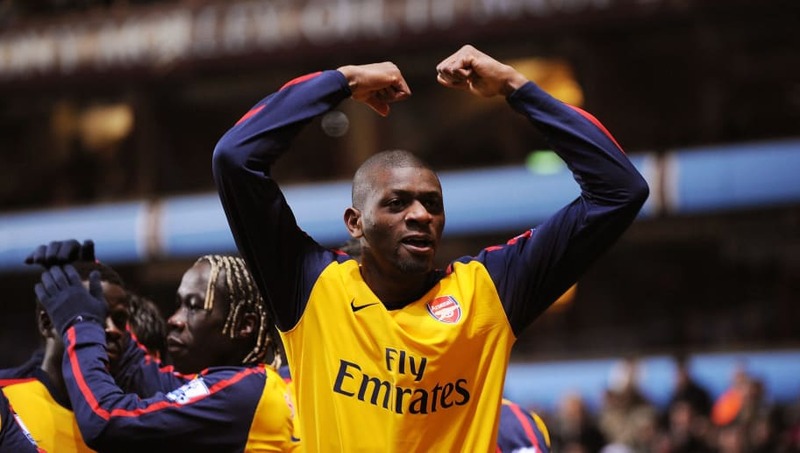 Undoubtedly one of the biggest regrets and disappointments of Arsene Wenger's managerial reign, Abou Diaby's tragic misfortune with injuries robbed the Gunners of what could have been one of the greatest midfielders of the ​Premier League era. The Frenchman arrived from Auxerre billed as the 'next Patrick Vieira', and offered tantalising glimpses of his huge potential. A box-to-box midfielder like the former Invincible, Diaby was also the scorer of some special goals, and had a little more technique and guile going forward. His virtuoso display against Liverpool at Anfield will forever be remembered as the standout performance, and were it not for that dreadful leg break suffered against Sunderland in May 2006, and the subsequent injury issues that followed from it, Diaby may have been the cornerstone of Arsenal's midfield. After being released by the Gunners in 2015, the midfielder spent another two injury-ravaged seasons back in France with Marseille, before drawing the curtain on his professional career in February this year, aged just 32. The ultimate 'what if story' in Arsenal's modern history.